Slow Cooker Recipes for Beginners are great for people who like creative and modern food, similar to what would be served in a good restaurant. The slow cooker is an amazingly versatile appliance that allows for easy creativity in our kitchen. In addition to classics such as spicy beef stew and chicken piccata you’ll learn how to use the freshest spices and ingredients to make dishes you never thought possible. The Slow Cooker Recipes for Beginners was designed for busy people who don’t want to sacrifice great-tasting, nutritious meals. The Slow Cooker Recipes for Beginners book is an easy step-by-step guide to enjoying delicious, healthy meals without all the hassle. - The slow cooker is perfect for international dishes such as Mexican Meatballs and Greek Mushrooms. - Want to reduce the amount of meat you eat? 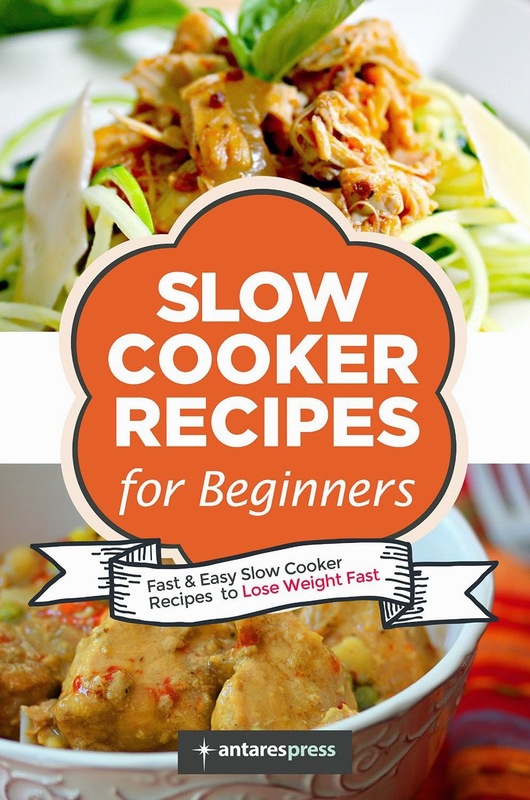 The Slow Cooker Recipes for Beginners book contains a wealth of vegetarian recipes such as Ratatouille or Veggie Chili created especially for you. - Let the slow cooker take care of dessert. Chocolate Mousse and Cheesecake are just two of the amazing desserts included. I grew up thinking that you only made chili and stew or maybe threw in a roast with some potatoes and carrots to slow cook all day. This cookbook changes all that thinking and really shows you how to make delicious recipes you would have never thought for the slow cooker. I enjoyed this cookbook and cannot wait to try every one of the recipes, I do wish there were pictures though... other than that, I like this cookbook and recommend it.